Staff Sgt. 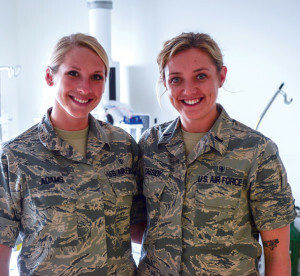 Rebekah Adams (left), 99th Inpatient Operations Squadron critical care technician, and 1st Lt. Elizabeth Cassidy 99th Surgical Operations Squadron Post Anesthesia Care Unit nurse, pose for a picture at the Mike O’Callaghan Federal Medical Center at Nellis Air Force Base, Nev., April 28. On May 6, Nellis AFB began a week-long celebration for Nurse and Medical Technician Appreciation Week to recognize the contributions nurses and technicians make to healthcare. NELLIS AIR FORCE BASE, Nev. — On May 6, Nellis AFB began a week-long celebration for Nurse and Medical Technician Appreciation Week to recognize the contributions nurses and technicians make to healthcare. This year’s National Nurses Week theme “Culture of Safety, It starts with YOU” is exemplified each and every day at the Mike O’Callaghan Federal Hospital. 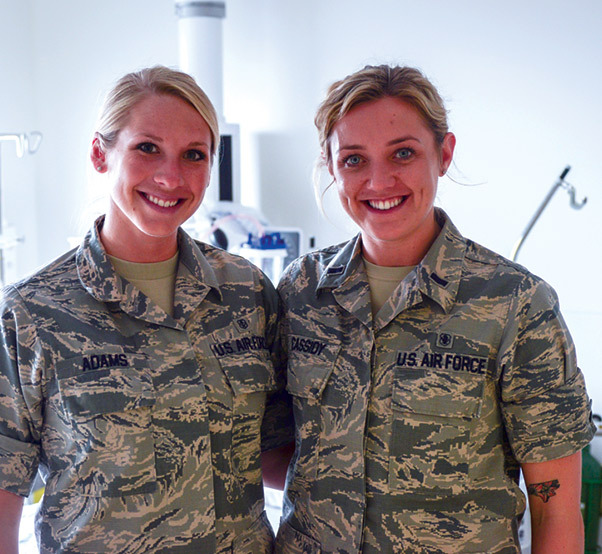 The nurses and medical technicians of the 99th Medical Group are well-trained, disciplined and a motivated team that takes great pride in delivering excellent quality care to their patients. This weeklong celebration raises awareness of the value of nurses and medical technicians and helps educate the public about the role nurses and technician’s play in meeting the health care needs of their patients. This is an important week for the nurses and medical technicians of the 99th MDG as it highlights the hard work they put in day in and day out that tends to go unnoticed. Nursing and medical technicians are physically demanding positions and often require working long hours and nights and weekends. These are just a few of the sacrifices that come with the job. 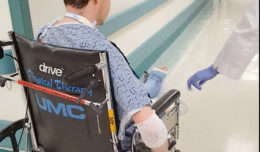 The selflessness of nurses and technicians is reflected in their commitment to their patients and plays a vital role to the hospital’s mission success. The week-long group appreciation events, spearheaded by Cassidy and her committee team members included a number of free food offerings, an educational brief on evidence-based practice for trusted care delivery and celebrated 13 new Nurse Residency Program graduates. The Las Vegas USO and Nellis Commissary leaders supported a burger-burn and ice cream social to top off the week.